The Snowcat Recertification course insures your employees are current on recent regulatory changes have the opportunity to learn new operator techniques. 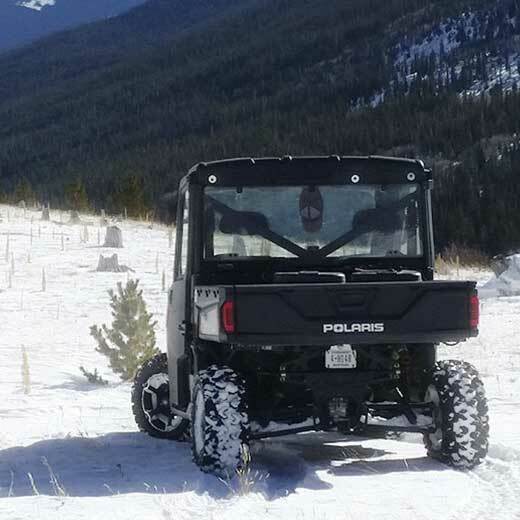 This course was designed to rejuvenate and expand on the snowcat safety skills learned from the Snow Operator Certification course. The majority of this training is in the field. We focus on safety and survival techniques, specialized equipment training, and equipment repair under emergency conditions. To remain compliant with OSHA safety retraining guidelines, it is recommended that snowcat operators take this course every two years. Upon successful completion of the course, students will receive the Safety One Snowcat Operation Certification. Students solidify their understanding of basic principles of snowcat operation and learn new techniques. Additional topics may include blading. This is a recertification course for experienced snowcat operators. Instead of retaking the Snowcat Operation Certification course, students can refresh their knowledge and techniques for snowcat operation, repair and extended survival methodologies while being re-certified. Climbing Hills on Soft Snow – Doing it right! Extricating Stuck Snow Vehicles – Simple tips to do it safely. Students will receive the most current version of the Safety One Snowcat Operator Manual and other materials necessary for the course. This course is designed to broaden the emergency skills and knowledge of students through identifying frostbite, hypothermia and other cold weather injuries, as well as shelters and reliable fire starting methods.